When you combine healthy, strong nails with top of the line nail art tools... the possibilities are endless. How much Bliss can you pack in a single box? Quite a lot! Even we were impressed. We wanted to make it easier for you to get ALL THE BLISS we offer in a single box. Whether you're just getting started in nails and nail care, upgrading your current nail care and nail art toolbox, or giving the gift of Bliss to a friend or loved one—this is the BIG-daddy of all that we offer. Strong nails BEND, not break. Simply Pure™ Starter Kit is the perfect, portable way to get nail hydration wherever you are. One for your purse, one for your desk drawer, one for near the television, and one for your nightstand. Take our fragrances for a test drive before you buy Simply Pure™ Nail Oil or a Simply Sealed™ Lotion Stick. These adorable little fragrance samples are the perfect way to help you to find your favorite Bliss Kiss™ fragrance! This artisan, handmade lotion stick is silky smooth and packed with hydration for your dry, sensitive skin. Treat your lips to silky smooth moisture. This ultra-hydrating lip balm keeps your lips silky soft all day long (and all night strong). 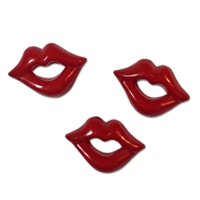 Your lips will always be ready to be Simply Kissed™ and will never feel greasy or heavy. No additives. No preservatives. No colorants. No kidding. The last nail file you'll buy. Ever. 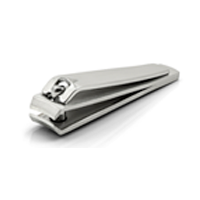 When it comes to filing your nails, never settle for anything less than the the highest quality Czech crystal. You deserve it! Whether you just need to gently file your nails smooth or need to take your length down a notch, we guarantee you'll be delighted with our Simply Crystal™ nail files. Ridiculously durable, Simply Crystal™ never dulls and won't wear down like cheaper glass files - Guaranteed! Pocket-sized perfection! 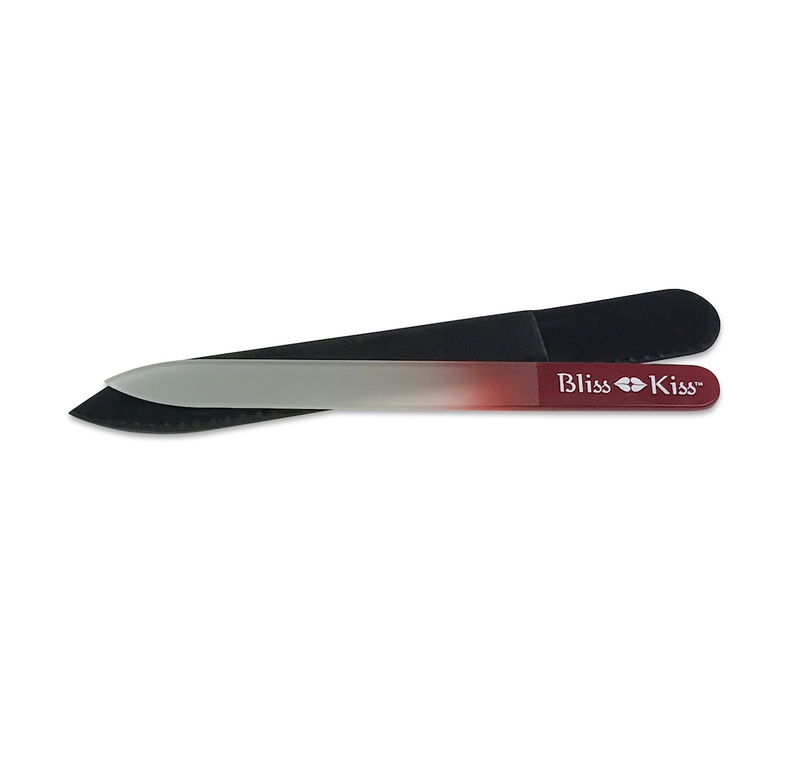 Small, sharp and easy to hold, these mini clippers make it easy to trim your nails, hangnails, and jagged edges. Ana’s Overnight Hydration and Mini Hydration technique is a healthy nails game changer. This is the perfect solution for nails and skin that are in need of some serious hydration. Your hands work hard all day. Give them a little extra TLC and enjoy smooth skin and stronger, more flexible nails. These beautiful pink gloves are textured and give you a good grip and work with smart phones and touch screens. 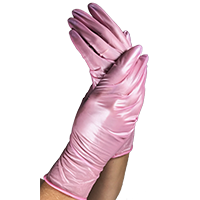 The manufacturer of these gloves donates a portion of the proceeds to the National Breast Cancer Foundation (NBCF) in support of women's health. Meet your new favorite art tool that does the heavy lifting for you. Say goodbye to damaged workspaces and say hello to more creativity and fun! 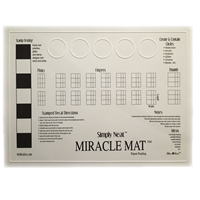 The Simply Neat™ Miracle Mat™ will forever change the way you do nails, while protecting your workspaces from spills and other nail art hazards. Whether you're testing new designs, practicing stamping, decals, or water marbling, the Miracle Mat™ will help you get gorgeous nail art on both hands! Get the perfect manicure without the mess! Each bottle of Simply Peel™ is a glittery doorway to gasps and oohs-and-ahs from everyone who sees your gorgeous salon-quality manicure. It won't just be your besties raving. Complete strangers will be impressed. Especially when you tell them you did it yourself! It Just Got Easier to Create Stunning Nail Designs. Get the delicate details in your manicure that will make your friends - and even strangers - gasp in awe! And you won’t have to pay salon prices to get them! The tedious job of removing polish just got a lot easier! No more scrubbing and grinding polish pigments into your nail plate. 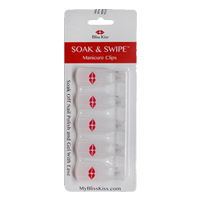 Introducing the easiest and most effective way to get you out of your old manicure and into a new one: the Bliss Kiss™ Reusable Soak & Swipe™ Nail Polish Remover Clips. Because we believe in making it easier for you to get gorgeous nails! Ever finished a beautiful manicure and growled in frustration when your cotton and acetone destroy all your hard work while you’re cleaning up? We have the solution for you! 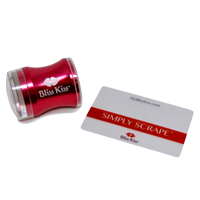 Meet Simply Grab™ Manicure Saver! 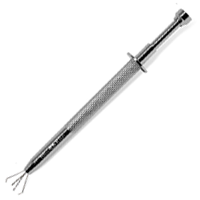 Manufactured from medical grade stainless steel, this incredibly durable little tool will protect your freshly painted nails from the hazards of acetone soaked cotton balls while you clean up! Ana spent over two years testing out different versions until she finally found one that meets all of the stringent Bliss Kiss™ quality standards. We are so confident with the quality of this tool that each one comes with a lifetime guarantee. If it breaks, we’ll replace it free of charge. No more smudging your freshly painted nails when you go to pick up your brushes, tweezers, or other nail art tools. 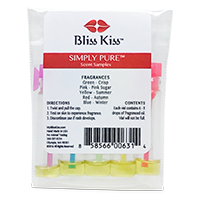 The Bliss Kiss™ Simply Set™ Tool Rests are the perfect—and most adorable—addition to any polish addict’s stash. 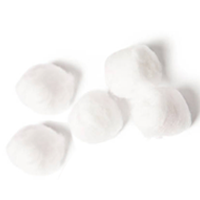 If you’re just getting started (or if you just need an emergency stash), we’ve included cotton balls in your Ultimate Bliss Box so you have everything you need to get started. 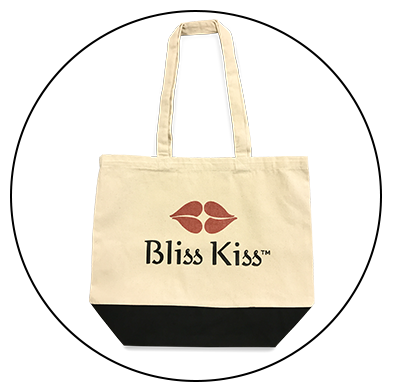 Whether you’re going to the farmers market, the gym, the beach, the store, or even to the library, now you can carry your supplies with Bliss! This adorable and generously sized canvas tote is more than just a pretty face. Made from durable canvas, it’s tough enough to get you and your goodies to wherever you’re going. All of our BEST products lovingly packed into one box. The Ultimate Bliss Box is the stuff a nail lover's dreams are made of! Treat yourself. Give it as a gift. Save money. I have bitten my nails for two decades, and I am determined to quit this. In reading online different articles, I stumbled across Bliss Kiss and decided I needed this in my life! I went big and just ordered the big kit of everything. And I will say I absolutely love it!!! My daughter and I have been having so much fun using everything in the kit. We have even tried our hands at stamping. So fun! The mat is awesome to have. And I adore the nail oil.